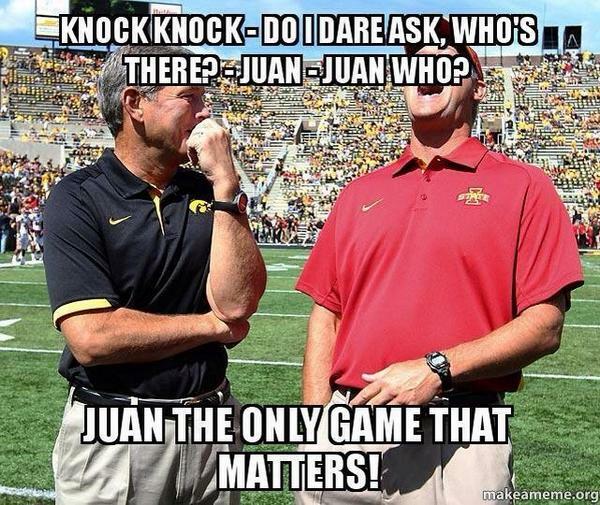 Iowa State University announced a new president this past week. Others have written more insightful comments about the choice of Wendy Wintersteen than I can. But I did want to report on my own small contribution to the broader historical record; that contribution was simply maintenance, but it seems that such maintenance is needed. In perusing the online reactions to this announcement, I happened upon a story by the Iowa Informer. I was vexed to see Wintersteen described as the first Iowa State alumnus to become its president. I knew for a fact that Iowa State’s 10th president, James Hilton, was an alumnus. Happily, the Informer was responsive on Twitter and updated the story. I remain a bit resistant to their assertion that “alumnus” is gender-neutral… but they did change the story, not only to use the modern, gender-neutral “alum” but to describe Wintersteen as “the second” such. Cheers. Thanks, will correct. Multiple sources were saying she was the first, we rushed the story out. "Alumnus" can refer to either gender. I like to think that Iowa State president James H. Hilton would have been both honored, and a little amused by the adoption of his surname for “Hilton Magic,” “Hilton South,” etc. Because most people thought the whole Iowa State Center was madness, when Hilton first proposed the concept. 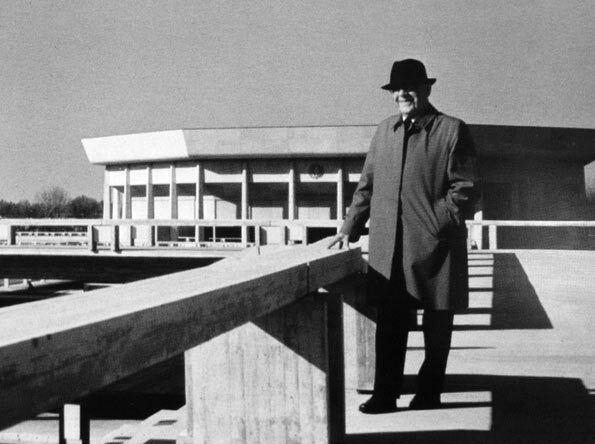 President Hilton’s suggestion that Iowa State College (as it was then) should build a whole new cultural center with a theater, large auditorium and coliseum was widely called “Hilton’s Dream” in the early years. It was also called some other things that suggested he was just dreaming in many people’s opinion. The whole thing was completely unrealistic, the money would never be available, it was delusional. It might as well have been Madness. Hilton took all of the doubts and ribbing in good humor. He was confident he would find a way, and over the course of the next 15 years he did so, largely by building a permanent fundraising program at Iowa State from the ground up. I think he would have smiled. 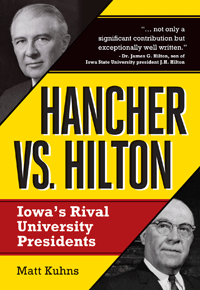 For more about President Hilton, the transformation of Iowa State College into a university, and the battles which accompanied it, see Hancher vs. Hilton: Iowa’s Rival University Presidents. The lost chapter in the history of Iowa State and the University of Iowa is complete, and awaiting your discovery. Meet the men behind the campus landmarks, and read about the feud which shaped Iowa’s universities for generations. 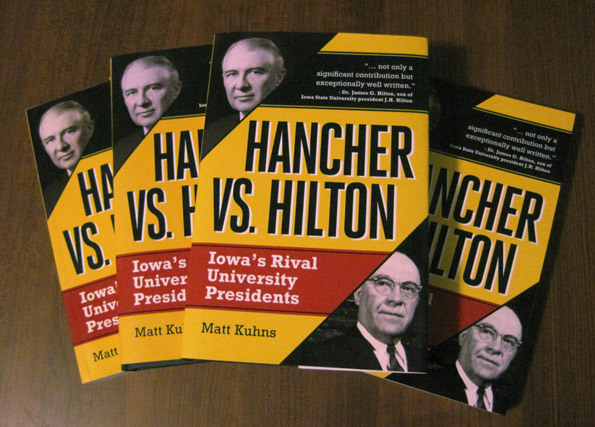 Read more about Hancher vs. Hilton, or order a copy and dive in. Available now in hardcover, paperback, and ebook editions. Please check out this book! The basic concept of alumni-supported higher education is, I think, awkward at best. It’s also very tiresome in practice, when the ISU Foundation e.g. calls you up a dozen times within two years of graduation. That said, I believe in sharing wealth, and I try to live my beliefs. My resources for doing so here are relatively modest, but when I can I try to support worthy causes. If a fairly lavish institution that delivers much of its direct benefit to the already privileged is questionable for inclusion among such causes, well, 1) nothing’s perfect, 2) Iowa State University does at least seem to be spending money relatively responsibly, these days, exceptions aside, and 3) I got quite a deal from the institution so if any non-affluent graduate has reason to be “giving back,” it’s probably me. So I have, now and then, directed the occasional surplus to dear auld ISU. I have not, however, given one single cent to the ISU Honors Program and I am not going to do so any time soon. This I vowed nearly 15 years ago, this I still believe: the “Jischke Honors Building” represents an unethical, insulting double-standard, and I am not going to forgive or forget. The administration of Iowa State University has declared VEISHEA dead. This is, or was, a spring festival, nearly a century old. “VEISHEA” is an acronym made from the departments* at ISU when the festival began. I believe the phrase “largest student-run festival in the US” has long been attached to VEISHEA, which was in theory both a celebration of pride in things Iowa State and a point of pride itself. That theory has been getting more and more difficult to put into practice, though, for as long as I have been aware of the event. I think this final, no-hiatus no-probation end to VEISHEA is probably a “straw that broke the camel’s back” situation, mostly. Rioting outbreaks stretch back even before I enrolled as a student, and so far as I can tell the 2014 episode was hardly the worst. The worst VEISHEA disaster was, in fact, by most measures my very first. At the risk of mangling a metaphor, VEISHEA 1997 was probably the iron crowbar the fractured the camel’s back, leaving it vulnerable to the weight of mere straw.